NO MORE DROPPED CALLS OR VOICE BREAKS ON YOUR MOBILE. Check signal on your android phone using NET MONITOR SOFTWARE APP level in db. Install Outdoor Antenna. Outdoor antenna should be installed where network is good. Connect With Booster Connect outdoor antenna wire to connector pin of Mobile Signal Boosters with bs cable. Connect With Booster Connect indoor antenna wire to connector pin of Mobile Signal Boosters with MS cable. Plugin Adapter power has been given by adapter to main Mobile Signal Boosters. Now check that all the package contents have been installed properly and check voice clarity on mobile phones will be very good. Antenna e-Mobile Solutions is providing a service of mobile signal boosters since several years,we are located in Mumbai-Worli, we solve a network problem 100% and do complete installation with dignity of work. Our client is on all over India in major cities. We have all Type of mobile signal boosters such as GSM mobile signal boosters,CDMA mobile signal boosters, 2G mobile signal boosters, 3G mobile signal boosters, 4G mobile signal boosters for all operators or single operator as per client wish. Mobile Signal Boosters systems provide an effective solution by redirecting, filtering and amplifying the available signal at the pick-up antenna, into the weak coverage area, through a properly selected interior coverage antenna. We provide all network operators Airtel, Vodafone, Idea, Tata Docomo GSM, Reliance GSM, Uninor, Aircel, BSNL, MTNL GSM, MTS, TATA Docomo CDMA, Reliance CDMA and all 3G operators, and also single operators depend upon customer requirement. We have also provide mobile signal boosters repairing and servicing and maintenance. 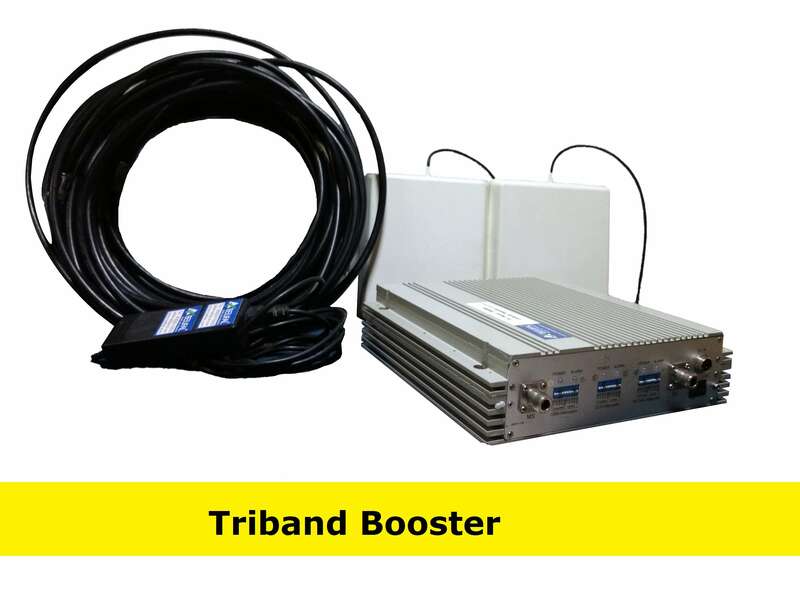 HIGH POWER 2G + 3G Triband Mobile Signal Boosters For All Networks Of India only for MUMBAI with installation and onsite support and warranty by Antenna E Mobile Solutions. 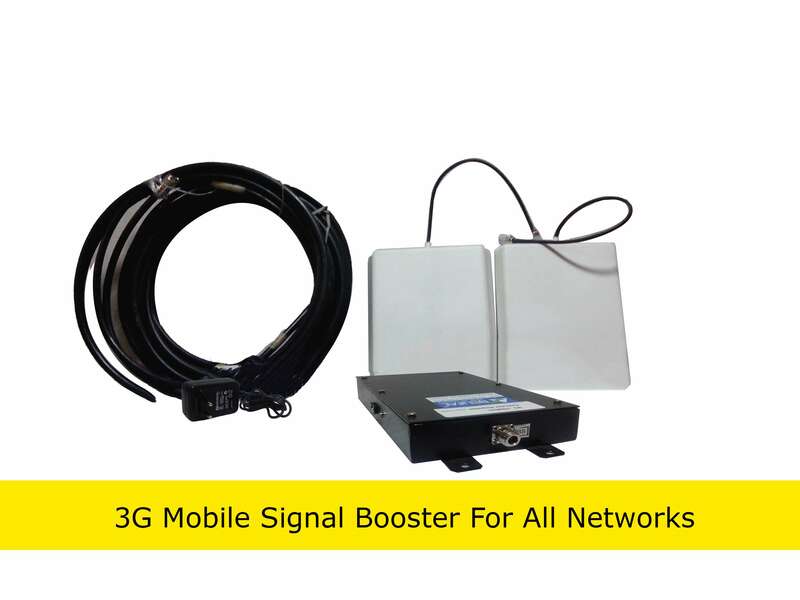 HIGH POWER & LOW POWER 3G Mobile Signal Boosters For All GSM Networks Of India only for MUMBAI with installation and onsite support and warranty by Antenna E Mobile Solutions. 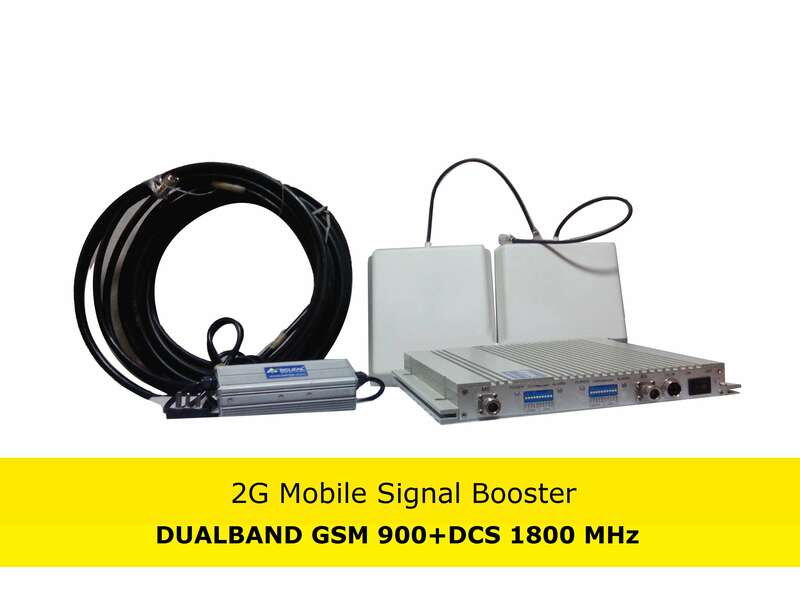 HIGH POWER & LOW POWER 2G Dualband Mobile Signal Boosters For All GSM Networks Of India only for MUMBAI with installation and onsite support and warranty by Antenna E Mobile Solutions. Why Weak Mobile Signal Problem Exists In spite of so many Cell Towers? What are the different causes of Weak Mobile Signal? Distance From The Mobile Phone Tower This is a no-brainer. The farther away you are from a cell tower, the weaker the mobile signal gets which leads to the ‘fish tank’ voice and the constant. “I couldn’t hear you, could you say that again” moments. And oh yes, the dreaded one bar of service. Over-Crowded Cell Towers Ever been to a festival or concert and find your mobile signals to be super slow? That’s because you and the other thousands are competing for a slice of that cellular 3G & 4G pie. So at best you get slow speeds, at worst, you’ll consistently be kicked off the congested network. External Obstructions So mobile signals are basically radio waves(AM/FM kind) that can cover long distances. However, they’re easily phone to be disrupted. So unless you have a direct line of sight to the tower. Trees, tall structures(buildings, billboards), hills, mountains are external clutters that weaken your mobile signal. Internal Clutter Most cell phone calls are made indoors. Yet being indoors is where mobile signal struggles to get in. Building material such as metal, glass, concrete and energy-efficient material can slow or stop your mobile signal from coming in. Thick walls don’t help either. Low Battery As your smartphone starts to drain power and reach low battery levels, it doesn’t have the strength to do important things like maintaining a signal.